The extensions are made of sendzimir steel, and are available in two different lengths. 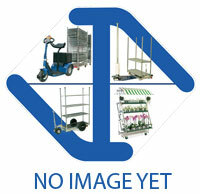 With an extra height of 39 cm or 66 cm you add one or two extra levels on your Danish trolley. The 39 cm version has 7 holes, and the 66 cm version has 13 holes.